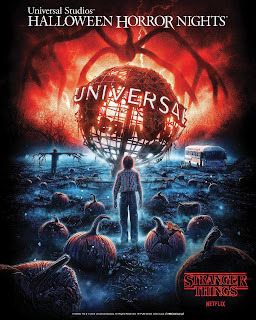 Universal City, CA, Orlando, Fla. (March 27, 2019) – Netflix’s supernatural thriller, “Stranger Things” returns to “Halloween Horror Nights” 2019 at Universal Studios Hollywood and Universal Orlando Resort, debuting all-new mazes inspired by seasons 2 and 3 of the critically-acclaimed series. 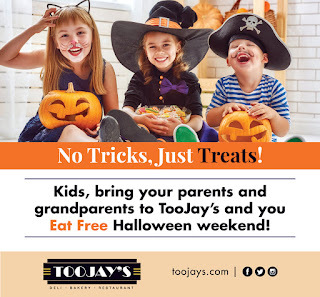 WEST PALM BEACH, Fla. (October 18, 2018) – Little ghosts and goblins are in for a treat this Halloween as TooJay’s announces that Kids Eat Free with the purchase of one adult entrée from Friday, October 26 through Sunday, November 4. 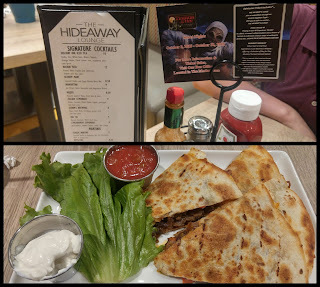 Children must be 12 and under and order from the Kid’s Menu only. The kids’ breakfast menu features French toast, half a Belgian waffle or an egg, along with a choice of two side items, including bacon strips, fresh fruit, toast and other popular choices. Topping the list of kid-friendly lunch and dinner favorites are hamburgers, mac & cheese, chicken strips, grilled cheese and deli dogs, along with two sides chosen from a selection of carrot sticks with Ranch dressing, Mandarin oranges, chocolate pudding, red grapes, French fries, apple sauce, or chocolate pudding, plus a famous TooJay’s mini black & white cookie. This special offer does not include beverages and cannot be combined with any other offers. 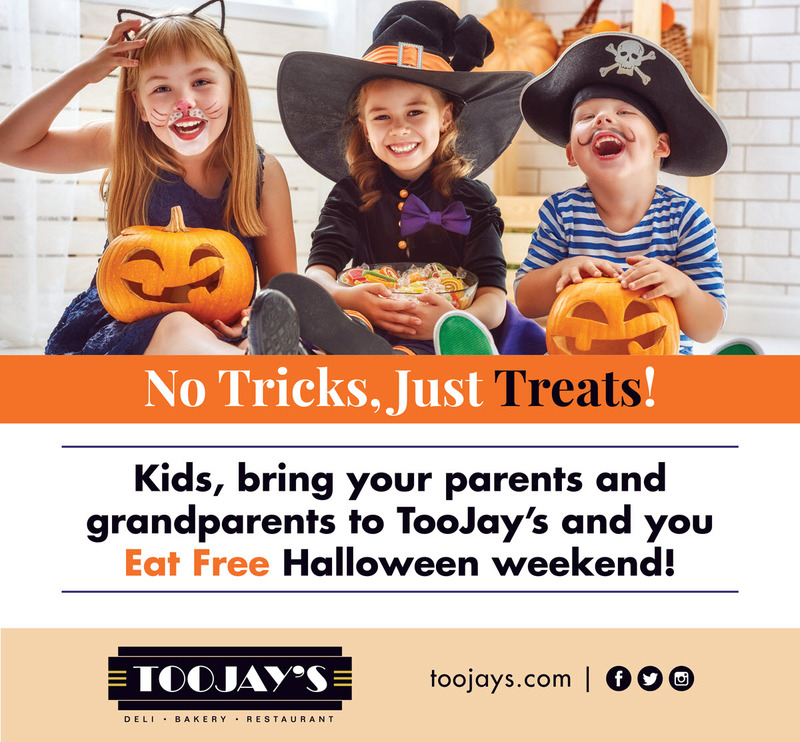 Founded in 1981, TooJay’s has grown to 28 restaurants throughout Florida and currently serves guests in Palm Beach and Broward counties, the Treasure Coast, the West Coast of Florida, the Orlando area, The Villages and Polk County. Three new restaurants are expected to open in Naples, Fort Lauderdale and Dania Beach during the first half of 2019. For more information about TooJay’s, visit TooJays.com. Follow TooJay’s at twitter.com/therealTooJays and instagram.com/toojaysdeli or visit the Facebook fan page, which has over 89 thousand fans, and become a fan at facebook.com/TooJaysDeli. 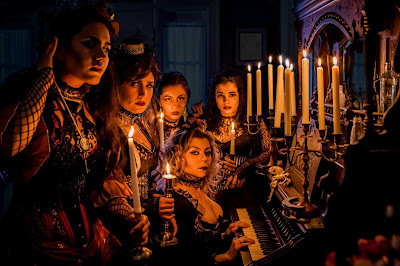 SAN FRANCISCO/ NEW YORK (October 2018) — Brave “souls” looking for the ultimate Halloween experience this year need not look further as Booking.com, the global leader in connecting travelers with the widest choice of incredible places to stay, will again offer a spooky sleepover at The San Francisco Dungeon. A private stay at the popular underground attraction will become bookable starting Oct. 24 at 9 a.m. PST/ 12 p.m. EST for the evening of Monday, Oct. 29; Tuesday, Oct. 30 or Wednesday, Oct. 31 for fearless thrill-seekers daring enough to slumber amidst the eerie darkness and haunting walls of the dungeon. ORLANDO, Fla. (October 15, 2018) - Doughnut and candy lovers need to look no further than Krispy Kreme Doughnuts for the ultimate treats this Halloween season. 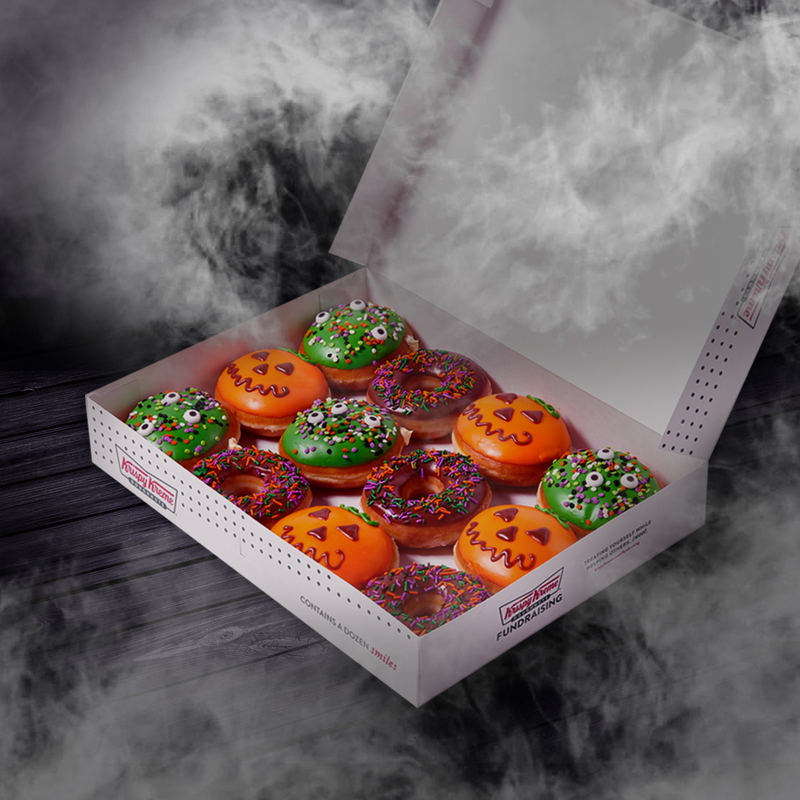 A spooky new collection of crave-worthy doughnuts are available through Oct. 31, at participating U.S. Krispy Kreme all shops throughout Central Florida. For the first time ever, Krispy Kreme has released the Trick-or-Treat Doughnut – a scary good mashup of candies and doughnuts. This new creation features an Original Glazed® Doughnut dipped and drizzled in salted caramel and topped with pieces of some of your favorite chocolate Halloween candies. To complete the season of fun, Krispy Kreme is also hosting the ultimate costume party! Wear your costume on Oct. 31 to get a FREE doughnut of choice at all shops throughout Central Florida. Show us how you’re celebrating Halloween with Krispy Kreme Doughnuts throughout October by using #KrispyKreme and tagging @KrispyKremeORL on Twitter and Instagram. We have some of the coolest hotels here in Orlando, don't we? In October of 2010, we gathered the whole clan for a weekend-long birthday event at the Nickelodeon Suites Resort. It was one of the most memorable family celebrations we've had, and we were all quite impressed with the expansive, useful space, as well as the associated amenities. Eight years later, that same birthday boy returned to this location to enjoy another event with me - Terror at the Inn! 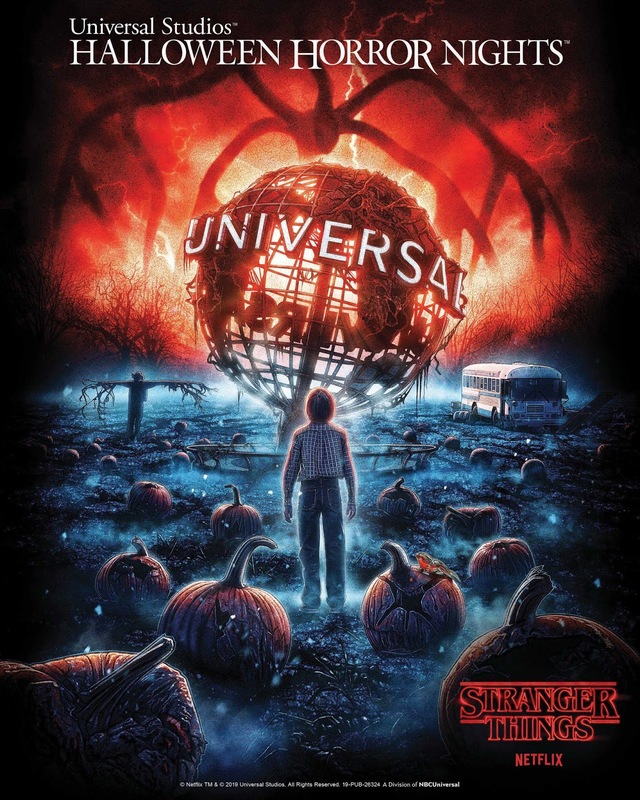 A lot has changed, including the ownership of the resort, but we still found a brilliant use of space tucked away in a central area of the theme park corridor.. even more so, in fact - with the creation of this all-original, family-friendly attraction spookily suitable for the Halloween season! Best of all, Terror at the Inn is open to the public, so you can visit the attraction even if you are not a registered hotel guest. 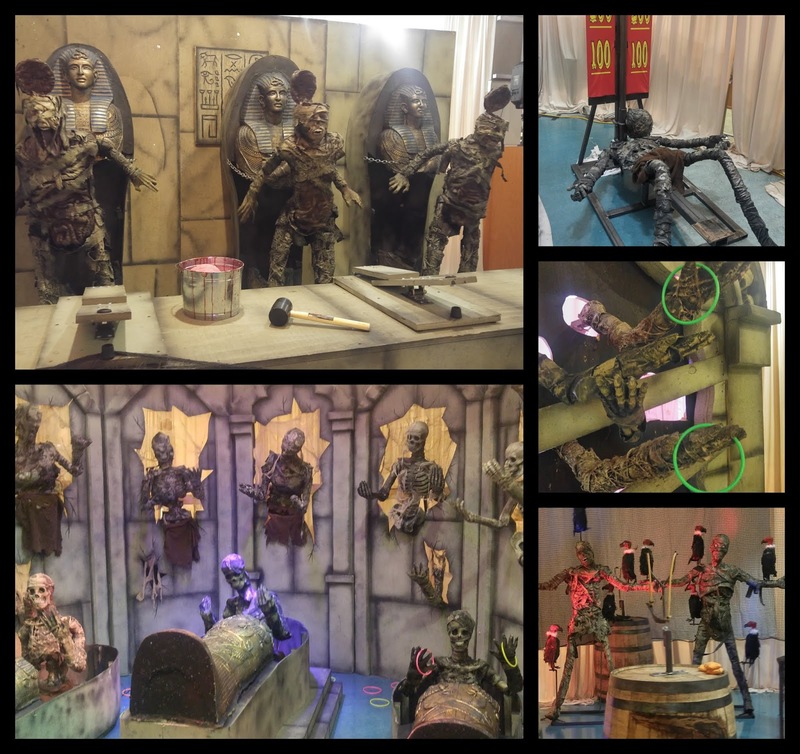 Terror at the Inn consists of a haunted house, 4D movie experience, and more. 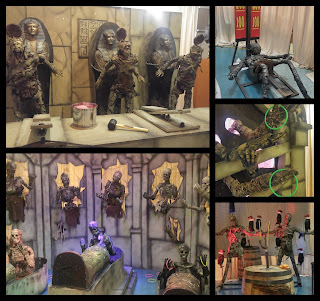 The haunted house is themed around the curse of an Egyptian crypt. 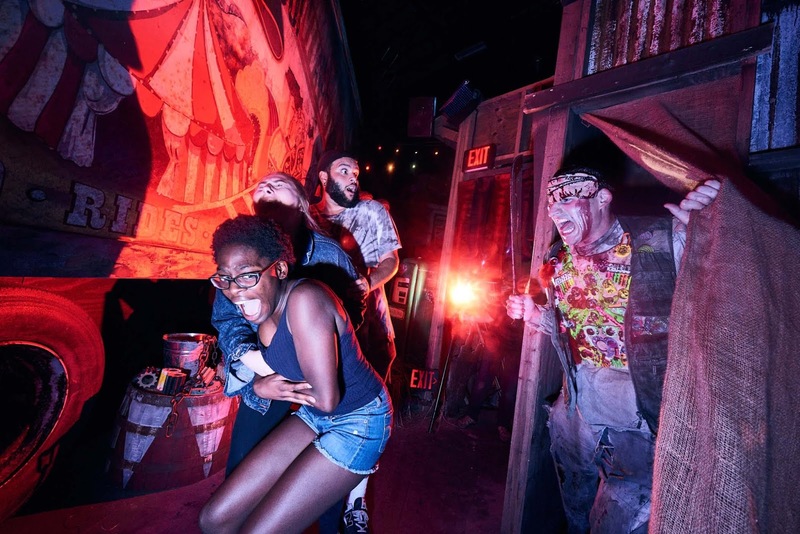 It is devoid of gore and disturbing scenes, making it suitable for younger guests who likely find events like Halloween Horror Nights to be too intense. There are well-conceived scenes routed cleverly in a winding pathway lined with a smart mix of both animatronic and live-actor encounters - providing genuine jump scares without the terrors that may be a bit much for more squeamish guests. I am an easy target in haunted houses, but my son is not. Once I made him go ahead of me in the house for a span, I was amused to see him startled a time or two, so the efforts were effective by non-chicken standards, too! The overall quality of the house was frankly surprising, and the length was more than fair. Definitely one to recommend, and now I will admit that I was not going into this expecting to be impressed! 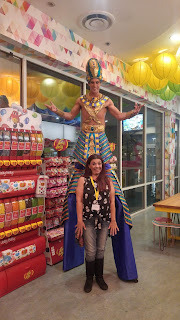 Halloween attractions are very easy to go cheesy... but this one had substance and effort - undoubtedly. 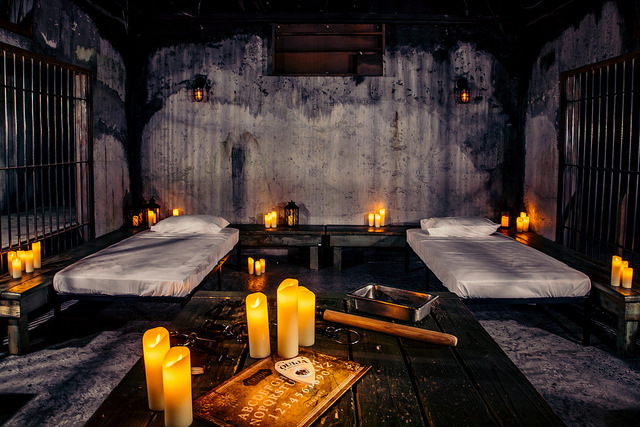 Your Terror at the Inn ticket also includes a visit to the in-house theater for the Panic House 4D experience. This immersive cinematic experience provides a haunted house tour from another, sensory perspective... with a few surprises that you wouldn't expect to encounter from the safe comfort of a movie theater seat. 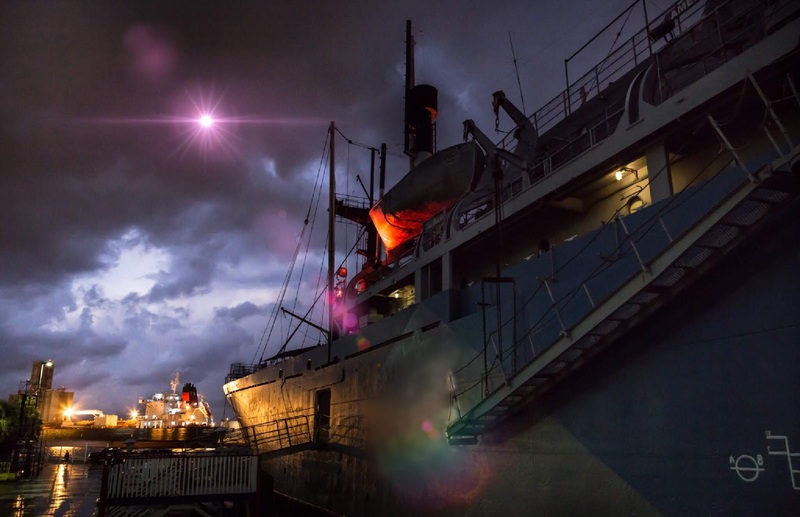 You may have escaped one haunted house during this visit - now you've tempted fate with a second harrowing exploration! After all these tests of courage, you deserve a reward - and lucky for you, your admission includes 20% off the Lakeside Café, Hideaway Lounge, Club Candy, and Hershey’s Ice Cream Shop! These are located in the Marketplace area, just beyond the haunted house and 4D theater. Grab a snack and a drink before testing your skills at the carnivalesque midway area for prizes (and bragging rights). 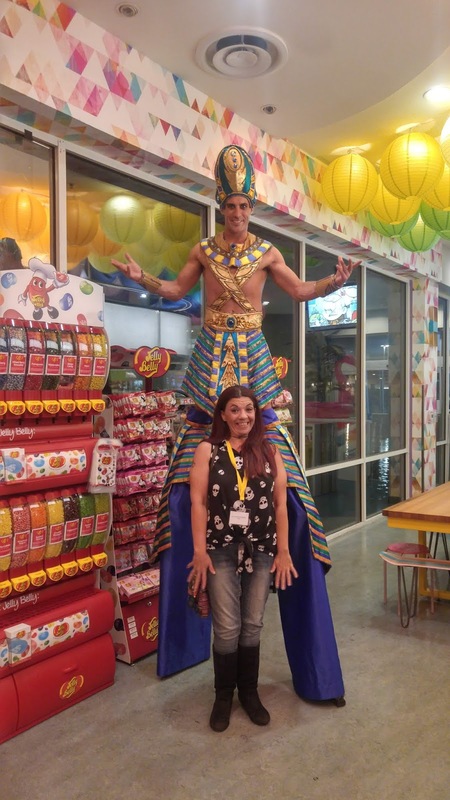 Don't miss all the great photo ops along the way, and keep your eyes peeled for roaming characters, too! Now through October 31, Terror at the Inn is open select weekdays from 6pm-10pm, and 6pm-11pm on Friday and Saturday. Admission is just $19.95, with $5 discount available to military personnel, first responders, and Florida/Georgia residents. Parking is complimentary. For more information, visit terrorattheinn.com. 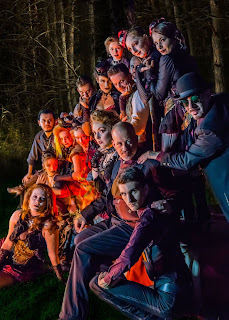 Called “One of the most unique theater troupes in the country.” by Good Day Atlanta, and direct from its successful sold out performances in multiple cities and states, Phantasmagoria is proud to present an all new collaboration with Sanford’s Higgins House Victorian Bed and Breakfast to celebrate the 2018 Halloween Season and its ninth year of ongoing production! Join Phantasmagoria in the perfect setting for a truly spooky Halloween – a gorgeous Victorian Bed and Breakfast - for its first ever walk through “Haunted” experience. 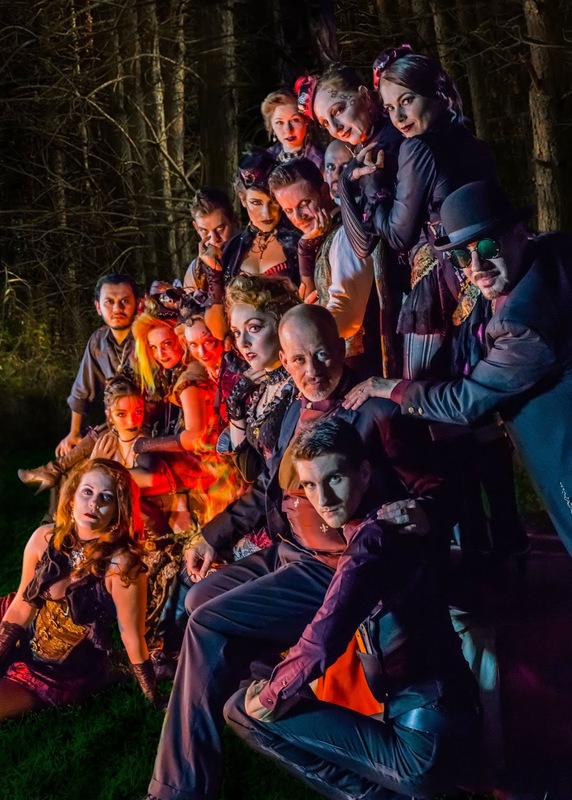 From the moment this Victorian Horror Troupe greets you at the door you will be immersed in magic, storytelling, dark poetry and a séance to gather the forces of the “Ghost of the Higgins House” as the audience embarks on a delightful and personal journey into the Whimsically Macabre world of Phantasmagoria! All ending with outside performances and a taste of fire dancing to end your night in a truly Phantasmagorical way!.